Westchester Community College regrets to announce that former president Dr. Joseph N. Hankin passed away on Wednesday, January 16. The college community is saddened to lose Dr. Hankin, who led this State University of New York institution since 1971 and was the nation’s longest serving community college president. At the time of his retirement in 2013, he had served in the role of president for 42 years. “Assuming the mantle of one of the most admired community college presidents presented a unique opportunity to extend his legacy of service to students and community,” says Westchester Community College President Dr. Belinda S. Miles. “He made monumental contributions to the community college field as our institutions became increasingly important pathways to high-quality and affordable higher education, and he did it with an exceptional team of faculty and staff who cared deeply about the college and surrounding community,” she adds. Dr. Hankin was a significant member of the team that expanded the Westchester Community College Foundation, which has raised substantial resources in support of faculty and staff. Millions were raised for student scholarships with approximately $2 million now distributed annually. Additionally, the enrichment of many academic programs and the development of infrastructure improvements were largely the result of Foundation funds. The growth and evolution of the Foundation has been critical to the success and expansion of the institution. Upon Dr. Hankin’s arrival in 1971, the transformation of the college was almost immediate. Following through on proposals shared during his interview process, such as opening the campus to the community, expanding academic programs, and repairing infrastructure, he immediately moved forward to begin a bold growth agenda. Although relatively new to the role of president, he began his four-decade mission toward a commitment to quality, accessibility, affordability, and expansion. One can see the tremendous impact Dr. Hankin has had by looking at his final decade in his role as president. In addition to opening several new extension centers during this time, he oversaw the expansion of the Harold L. Drimmer Library and Learning Resource Center, which doubled in size. He opened the Gateway Center, a 70,000-square-foot landmark structure designed by the renowned Ennead architectural firm to provide educational resources for thousands of students. The Gateway Center is Westchester County’s first LEED-certified building and an iconic entry point for the county’s diverse, multinational community. During the same period, the college expanded its online learning options, added a dozen new academic programs, and instituted the Collegium, a resource for mature learners interested in serious study and social exchange. Simultaneously, the college reached record enrollment figures for both credit and non-credit study, more than doubling the numbers from 5,800 students early in his tenure. Corresponding expansions to the 218-acre campus in Valhalla, New York, and numerous offsite locations and extension centers throughout Westchester County further increased access. Other new construction projects included the science building, Knollwood Center, administration building, children’s center, bookstore and an academic arts building that now bears his name. Dr. Hankin was a first-generation college student whose interest in education led him to not only academic administration, but also teaching and scholarship. In addition to being a prolific writer and speaker with numerous published works in the community-college field, he served for thirty years as an adjunct professor at Teachers College, Columbia University. He inspired generations of students from across the country through teaching and serving on doctoral committees. In 1986, a project sponsored by the Exxon Educational Foundation named Dr. Hankin one of the Hundred Most Effective College Presidents of two-year and four-year colleges and universities. In 1988, the University of Texas included Dr. Hankin among the 50 best community college presidents, for which he earned the Thomas J. Peters Award for Leadership Excellence. 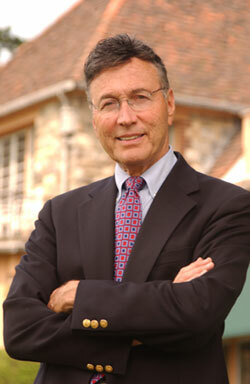 Westchester Community College was Dr. Hankin’s second college presidency. In 1967, at the age of 26, he was the nation’s youngest college president when he assumed the role at Harford Community College in Maryland. He earned his bachelor of arts degree in social science from City College and his master of arts in history and doctor of education degrees from Columbia University. Dr. Hankin is survived by his wife, Dr. Carole Hankin, three children, and his grandchildren. A spring memorial in Dr. Hankin’s honor is being planned. Meanwhile, gifts in Dr. Hankin’s memory may be made to the Joseph N. Hankin Endowed Scholarship Fund at the Westchester Community College Foundation, Westchester Community College, 75 Grasslands Road, Valhalla, New York, 10595.